Combining two passions, singing and auctioneering, Leroy Van Dyke penned Auctioneer in Korea while he was serving as a special agent in the United States Army Counter-Intelligence Corps. 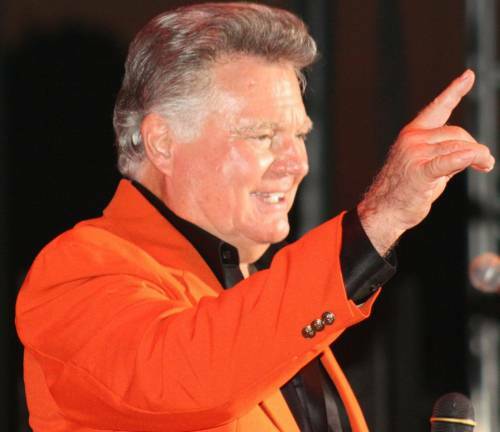 In all, Van Dyke has recorded hundreds of songs and is a member of the National Auctioneers Association Hall of Fame. Photo courtesy of Van Dyke family. Leroy Van Dyke’s life was forever changed in a tent in Korea while he was serving as a special agent in the United States Army Counter-Intelligence Corps. Van Dyke graduated from Mizzou in 1952 and immediately began basic military training, as the Korean … Expand ▸Van Dyke graduated from Mizzou in 1952 and immediately began basic military training, as the Korean War was in full swing. Van Dyke attended the U.S. Army Counter-Intelligence Corps special agent school after basic training, when he learned that CIC was looking for Special Agent prospects. Photo courtesy of Van Dyke family. The song focuses on a boy from Arkansas who wanted to become an auctioneer. As the boy grows, he develops his craft and becomes a famous auctioneer, known across the nation. The story is actually based on a real-life individual. Van Dyke’s cousin, Ray Sims, spent nearly 50 years as an auctioneer and did an estimated 7,000 sales. Sims joined the National Auctioneers Association Hall of Fame in 1990. It was Sims who got Van Dyke interested in the art of auctioneering. When Van Dyke was 9 years old, he attended an auction conducted by Sims. It was right then that Van Dyke knew he wanted to learn the craft. “It was definitely something I knew I wanted to do,” Van Dyke said. Selling is one of the four goals Van Dyke set for himself to accomplish throughout his lifetime, along with singing, writing and raising livestock. He’s marked each off of his list. “A lot of things have really fallen into place,” Van Dyke said. Van Dyke was born on his family’s farm in rural Pettis County in 1929. The farm operation spanned 3,000 acres and included cattle, sheep and hogs, as well as grain crops. Van Dyke attended Smith-Cotton High School in Sedalia and excelled as a student. His hard-working nature was honed on the family farm. Van Dyke didn’t have plans to attend college; instead, he stayed home and worked on the farm for a year. A visit to his older brother, who was attending the University of Missouri, changed his outlook. Van Dyke was born on his family’s farm in rural Pettis County in 1929. The farm operation spanned … Expand ▸Van Dyke was born on his family’s farm in rural Pettis County in 1929. The farm operation spanned 3,000 acres and included cattle, sheep and hogs, as well as grain crops. Photo courtesy of Van Dyke family. 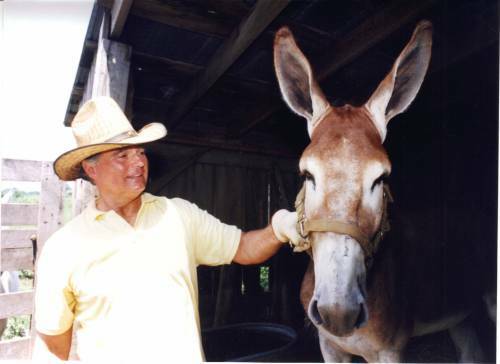 Van Dyke earned a Bachelor of Science degree in Agriculture, focusing on animal husbandry and journalism, with a minor in speech. Van Dyke was a member of the junior and senior livestock judging teams during his time at Mizzou as well. He graduated in 1952 and immediately began basic military training, as the Korean War was in full swing. Van Dyke attended the U.S. Army Counter-Intelligence Corps special agent school after basic training, when he learned that CIC was looking for Special Agent prospects. Van Dyke had ample opportunity to display his singing chops during the Korean War, playing his guitar when his fellow soldiers wanted to hear a tune. Van Dyke had always enjoyed singing throughout his youth. His father would tune in to Gene Autry transcriptions every morning at 6 a.m. Along with a passion for singing, Van Dyke still enjoyed the art of auctioneering. He attended an auctioneering school in Indiana between his junior and senior years at MU. Gladys, Ben and Leroy pose for a quick picture. Photo courtesy of Van Dyke family. Van Dyke combined his singing skills with his auctioneering skills to create “Auctioneer.” He had an opportunity to perform the song during his time in Korea – even opening a show for Marilyn Monroe. 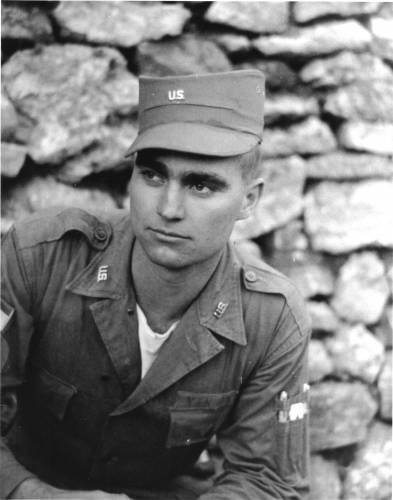 Van Dyke put his journalism experiences at Mizzou to work once he returned from Korea. He became a field representative in the purebred livestock advertising department of the Chicago Drovers Journal. It was during that time when Van Dyke saw an advertisement for a talent show in Chicago. Van Dyke’s music career had officially taken off. In all, he has recorded hundreds of songs, including “Walk On By,” which topped the charts for 19 straight weeks. The song was on the charts for 42 weeks. It was named the biggest all-time country hit in the 100th anniversary issue of Billboard magazine (November 1, 1994), based on sales, radio airplay and longevity on the country music charts. 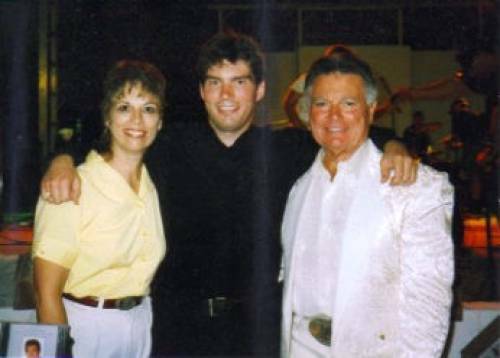 Van Dyke was a founding co-host of the syndicated radio show “Country Crossroads” and hosted the … Expand ▸Van Dyke was a founding co-host of the syndicated radio show “Country Crossroads” and hosted the “The Leroy Van Dyke Show” which was his own syndicated television series. Van Dyke was able to display his acting chops in the 1967 movie “What Am I Bid?” where he played the main character. The movie was a reflection of some of Van Dyke’s life experiences but was not a biography. Photo courtesy of Van Dyke family. “You never really expect to produce a song that takes off like that,” Van Dyke said. Van Dyke joined the Grand Ole Opry as a member in 1962, reaching another one of his childhood goals. He moved to Nashville, Tennessee, during that time and continued to make music, performing shows and concerts across the United States, and at locations on four continents around the world. Van Dyke was a founding co-host of the syndicated radio show “Country Crossroads” and hosted the “The Leroy Van Dyke Show,” which was his own syndicated television series. Van Dyke was able to display his acting chops in the 1967 movie “What Am I Bid?” where he played the main character. The movie was a reflection of some of Van Dyke’s life experiences but was not a biography. Van Dyke still spends plenty of time on the road, performing in a variety of venues, including fairs, livestock events, casinos and performing arts centers across North America. He traveled up to 315 days some years, and still works scores of dates yearly entertaining his fans. Van Dyke has turned his travels into a family affair as well. His wife, Gladys, serves as his booking agent and manages and sets up his performance stops. His son, Ben, plays lead guitar. Ben is also a Mizzou graduate, earning a music degree, as well as a minor in agricultural systems management. Van Dyke is a member of the National Auctioneers Association Hall of Fame, and he has continued to … Expand ▸Van Dyke is a member of the National Auctioneers Association Hall of Fame, and he has continued to keep his auctioneering skills sharp as well. He has served as the auctioneer for CAFNR Ag Unlimited for the past several years. Photo by Jacob Shipley. Van Dyke is a member of the National Auctioneers Association Hall of Fame, and he has continued to keep his auctioneering skills sharp as well. 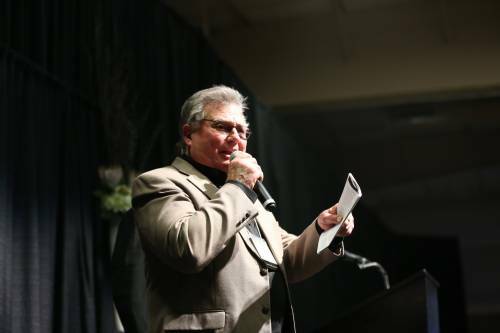 He has served as the auctioneer for CAFNR Ag Unlimited for the past several years. From Pettis County to Mizzou, from Korea to the Grand Ole Opry, Van Dyke has accomplished a lot – and is still sharing his music with individuals across the nation and around the world.